Frank Gady creates outdoor sculptures in steel and stone. 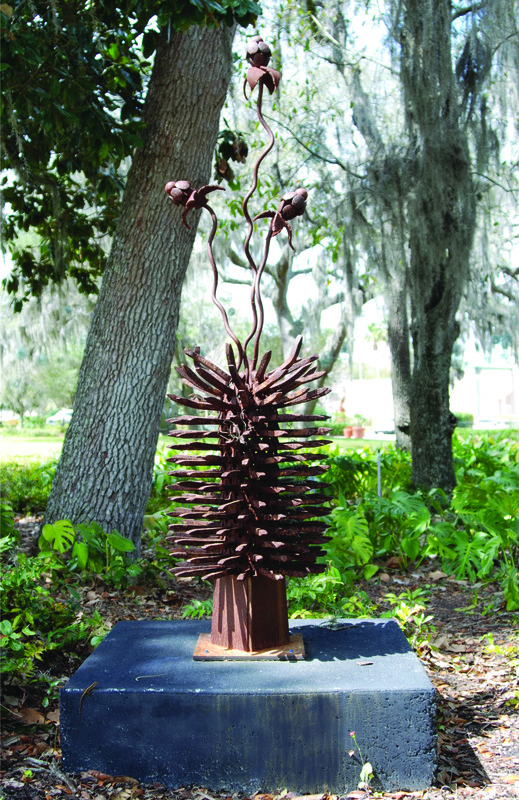 His works can be seen at Crealde School of Art, Mennello Museum of American Art walkway and now in Lake Concord Park. Many of his metal pieces are of imaginary biomorphic forms resembling budding flowers, seed pods and trees.